Gimps Gold: Icy Prisms...Profit potential? With some undocumented changes in 4.1.0 is there possibilities for decent profit on these??? So Hidden changes to the prism where made in 4.1.0, the 24 hour cooldown has been removed, however most people have not noticed this as when you craft on of the prisms a "Cooldown:" marker appears on the craft. However the second you loot your current prism this cooldown disappears allowing you to craft a second prism. Where up to 3 gems are looted from each prism, with the highest drop rates being Rare gems. well this is where a little math and research on the AH comes in. Now for the sake of argument and to keep my estimates for profit clearer I will assume that we will be buying the materials directly from the AH, and selling the Raw gems directly back to the AH uncut. 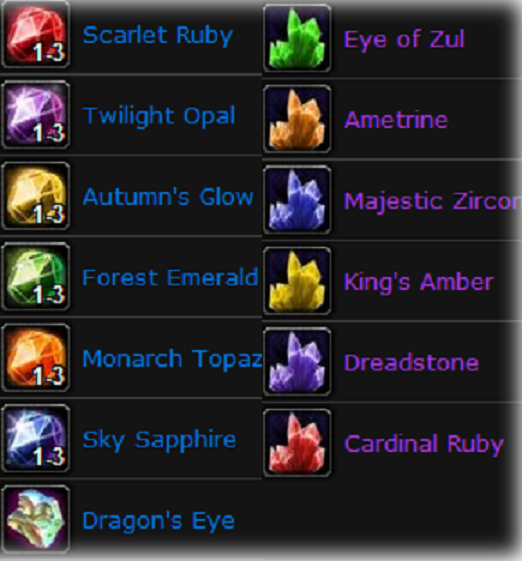 So lets say Frozen orbs are 10g, and the gems are around 3g each. 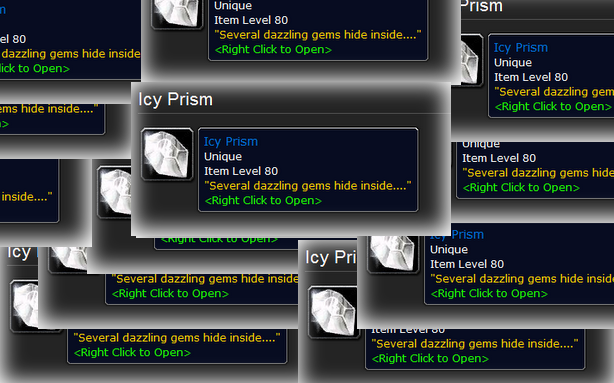 This means the Icy Prism has a crafting cost of 19g. Now this is simple maths to me, worse case scenario i get Forest Emerald x 3 and im left with 30g, best case scnario I get Dragon's Eye and a couple couple Epic gems and I have earnt between 100-200g now thats a big win! However Don't Over do it! 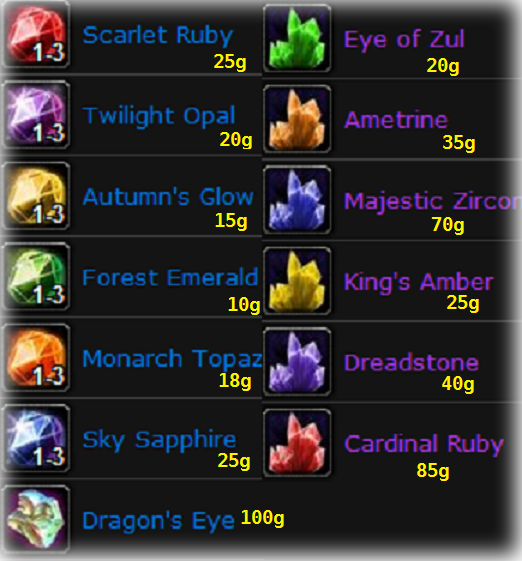 - The market price of these gems is high because the supply is low but the demand is high due to alts leveling through outlands and northrend. Keep the amount on the AH at one time low and the prices will hold! Now make sure to do the math before you start mass buying the materials for the prisms, and start of small to test the market, there is no point investing thousands of gold into this or even hundreds if there is no market on your particular server.